It's pity that Windows Movie Maker only exports video files to WMV. However, in most cases, you need your Windows Movie Maker project files can be saved to AVI format. Reason for this may be varied. For example, AVI can be more widely used on portable players and you need to play the Windows Moive project files on your AVI-supported player. In a case like this, you have to convert Windows Movie Maker files to AVI by using a great Windows Movie Maker to AVI converter. 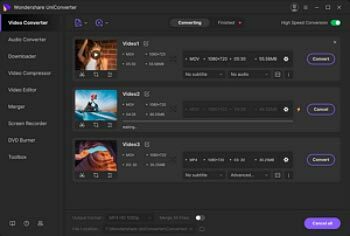 Wondershare UniConverter (originally Wondershare Video Converter Ultimate) makes it fast and easy to let you do this job. 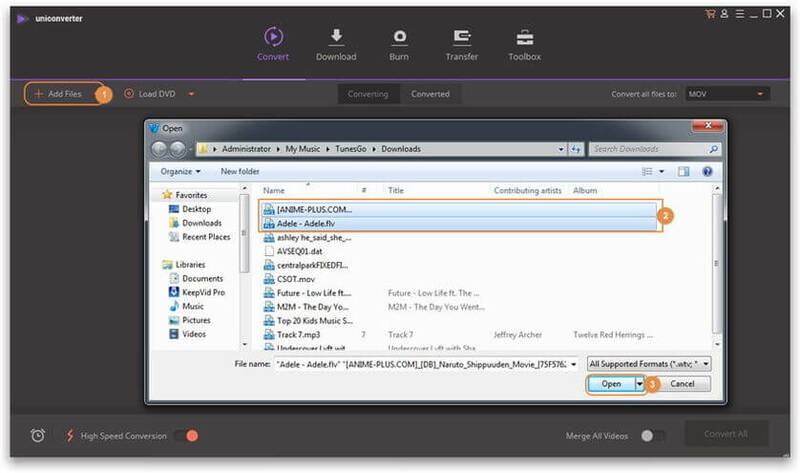 Just after a few simple clicks in this app, you can get your desired Windows Movie Maker project files in AVI format. Most importantly, this great program won't degrade the quality of Windows Movie Maker video files. Now, I'll show you the detailed steps in the following tutorial. Windows Movie Maker project files can't be opened in any other apps, and this video converter is no exception. Therefore, you need to save Windows Movie Maker files as video files, so you can use your desirable video converter to convert them to other format you like. Launch Window Movie Maker, open your Windows Movie Maker project file, and then "Save to my computer" to export it as a video file. Next, you need to import the saved video files to Wondershare Video Converter for video conversion. Run this video converter, and than click the button on the top-left corner of the interface to load the just-saved video files from your computer to this app. 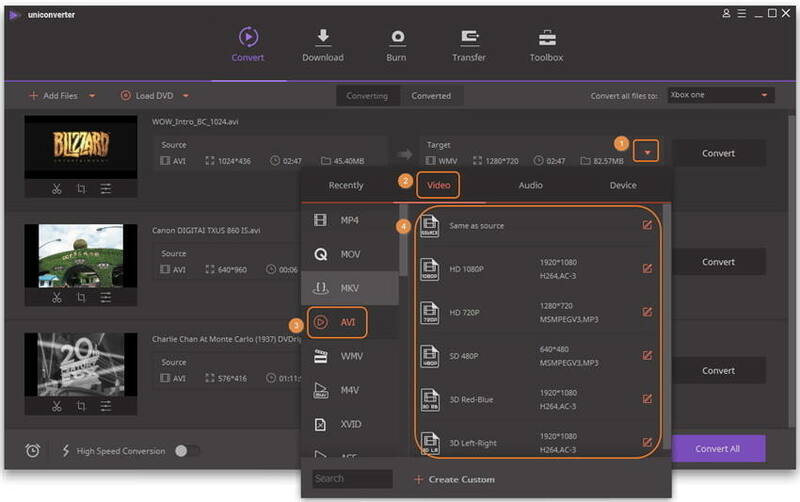 Click the button from the Target box and select Video tab, choose MP4 in the left sidebar and select the video resolution in the right to confirm the output format. Note: If you choose some device as the output format, the output files can be fully compatible with the device. And then, you can transfer the output files to the device for enjoyment. Now, you can start to convert your Windows Movie Maker project files to AVI by directly hitting the Convert All button at the lower-right corner of this window. That's all. After a while, just go to this app's output folder to find these converted AVI files for uses. Don't know the output file path? Just check it at the bottom of this window. The quickest way is to directly click the Open Folder option there.